Last Wednesday six of us were tourists in our own part of the world. 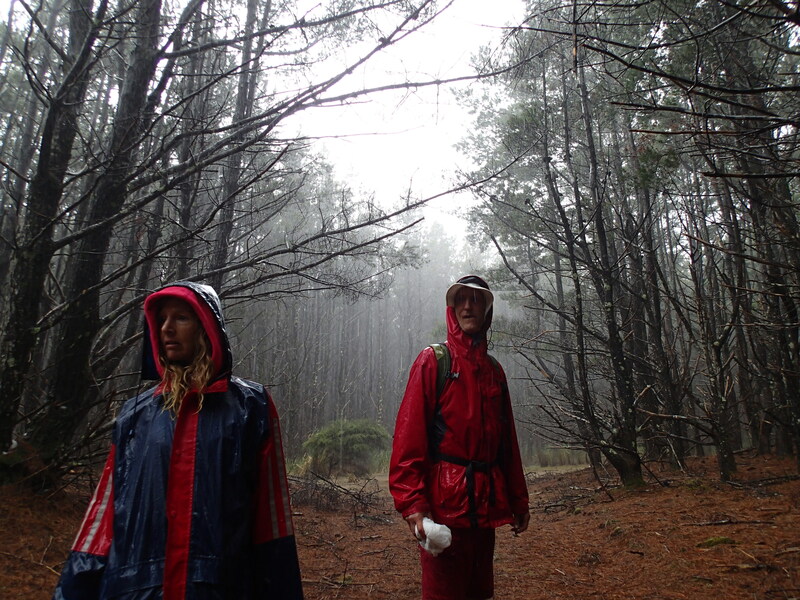 We first visited the giant kauri grove and swamp forest traversed by the Manginangina Kauri Walk. Who would not be inspired by the majesty of the magnificent arboreal sentinels towering overhead? These trees are repositories of the history of this land and their fervent whispers can be heard (or felt) if one listens with an open heart. 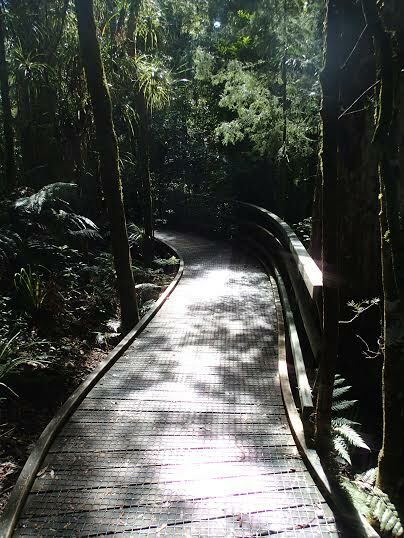 Next stop was the Puketi Forest recreation area and the one hour nature trail circuit. 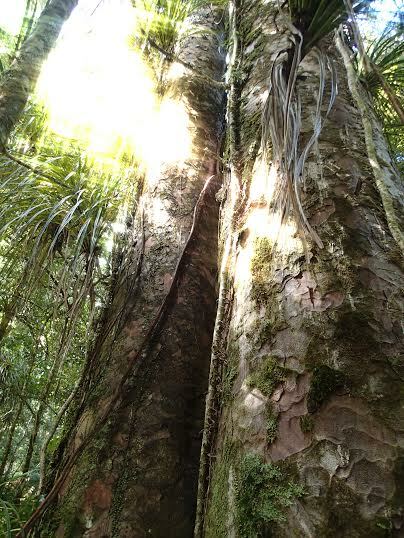 Alongside more giant kauri are equally majestic specimens of totara, rimu, kahikatea (New Zealand’s tallest tree) and other citizens of the Far North’s podocarp forest. Many of the trees are labelled so it is an opportunity to learn a little every time one visits. I was particularly taken with gorgeous leaves of ramarama. 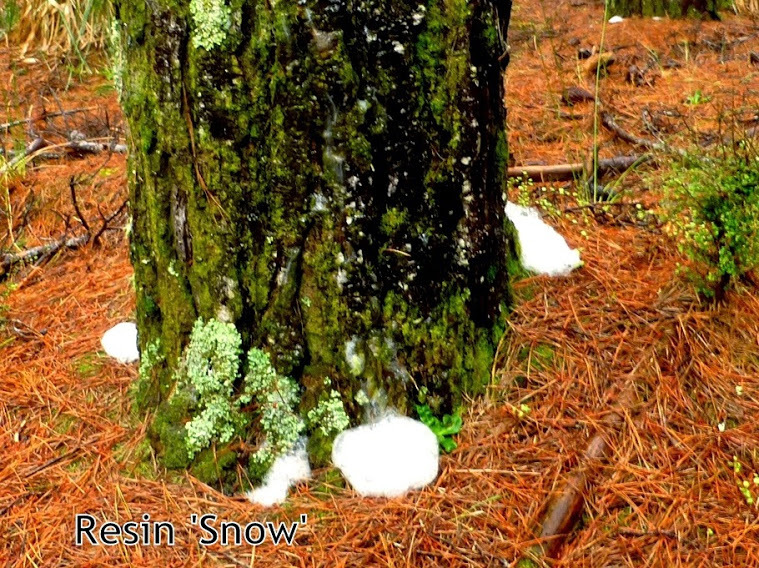 The growth and form of the mountain neinei pictured below (a photo I took in the Waipoua Forest a couple of years ago) makes me wonder if Theodore Geisel (Dr Seuss) visited these forests as inspiration for his depiction of trees in his widely read illustrated children’s books. 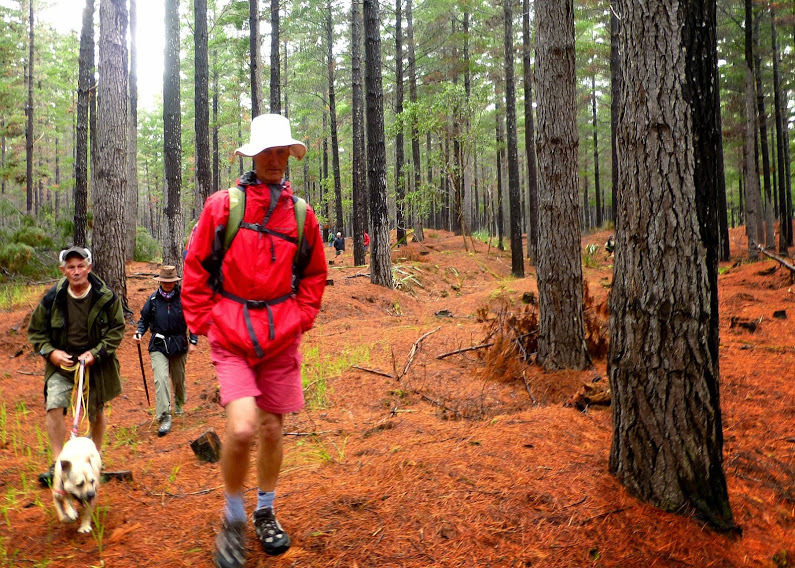 After a most civilized lunch at a picnic table in the campground (entertained by Bill, his unique travel-anywhere-coffee-maker and the tent-erecting antics of four young European visitors) we entered another rugged back-country Puketi Forest track. Afterwards Richard went off with Pat as she needed to get home as soon as possible to shower and eat before heading off for a Bay of Islands Singers practice. That left Bill, Brian, Lucia and me to meander home. 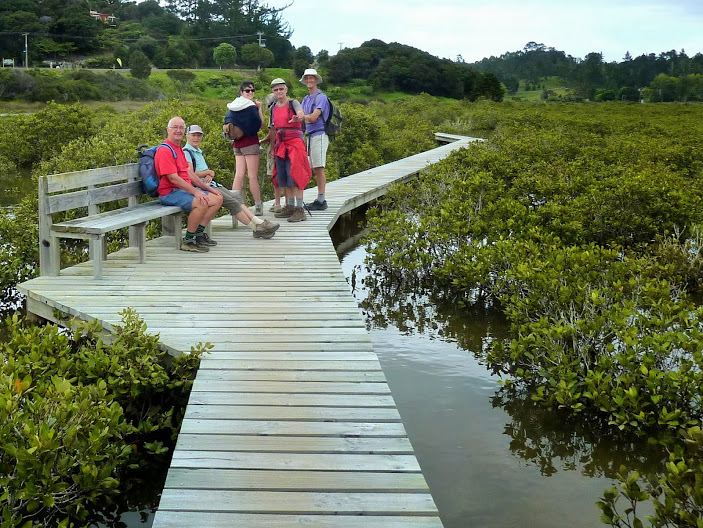 The last time our Wednesday Walkers visited Puketi Forest (the Waihoanga Gorge Kauri Walk) we finished the day with blueberry ice cream at Blue River Orchard in Waipapa. That late summer visit took place just two days before the orchard’s cafe was to close for the season. Fortuitously yesterday’s visit came just two days after the cafe reopened for the new season of blueberries! There’s something special about eating an ice cream or a pure blueberry sorbet alongside blocked plantings of the very bushes the blueberries come from. And it is equally special to watch the young people (WWOOFERs?) sorting the fruit on conveyors as we made our purchases. But it was what happened next which demonstrated that in New Zealand we experience only two degrees of separation. We joined two women, Betty and her daughter Pauline, already seated at a shaded picnic table. Betty McPherson (nee Murray) recently celebrated her 80th birthday and moved back to the Far North from Auckland. She was born and raised in Whangape and as we worked our way through our delicious cones Betty regaled us with tales of her youth. “We had none of those big water tanks to catch rain water like houses have today and the winter stream would dry up when the rains stopped.” Each year summer droughts (I wonder if the earlier deforestation contributed to this) drove local Maori families over a daunting hill to the coast north of the Whangape Harbour where permanent fresh water cascaded from the cliffs. 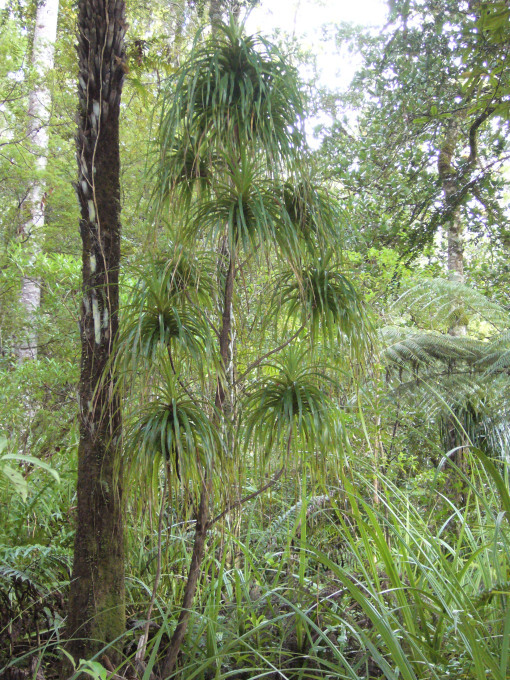 Summer shelters (whare) were constructed of nikau palm fronds. Betty’s brothers fished and everyone gathered shell fish. A red frilly seaweed, Pterocladia lucida, was picked and sold for agar production. There were no cars. 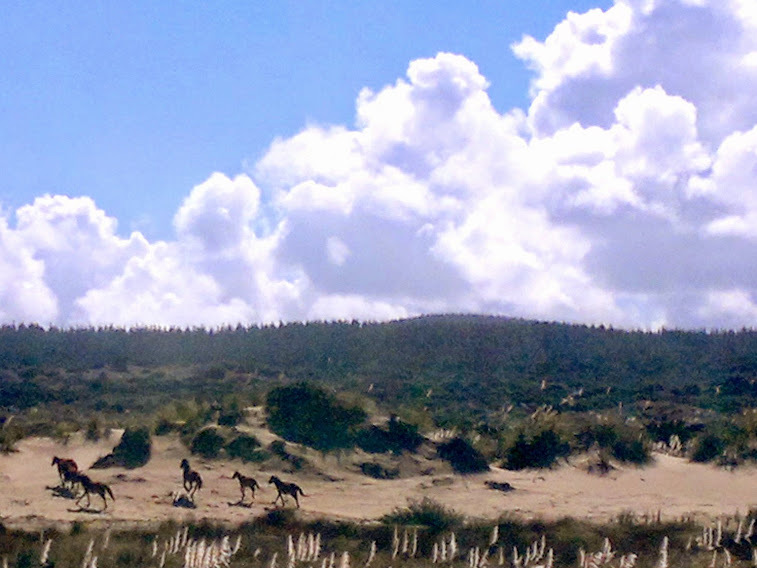 Everyone walked or travelled on horseback. There was little reason for theft as everyone worked together and shared. As Betty explained, that beautiful way of life withered and disappeared with the urbanization of Maori beginning in the 1950s. Betty grew up with the Lunjevich family (Lucia’s brother’s relations). That’s part of the two degrees of separation. The other part had to do with some connection Betty had (which I can’t quite remember) with Boy Yates, Bill’s neighbour in Parapara. Back in her training college days Betty was part of a contingent sent to China. That three week trip in the Chinese summer of 1976 coincided with the earthquake that struck Tangshan, a shoddily built mining city, and killed half a million people. That same trip coincided with the death of Chairman Mao. How’s that for timing on your only trip to China? We warmly bid farewell to Betty and Pauline and made a final stop at the Kahoe Farm Hostel past the Otangaroa turnoff on State Highway 10. Here we bumped into (2 degrees of separation?) Mike Johansen, a font of local knowledge and the man owning the farm we walk through when visiting the Kahoe Rock Pools. 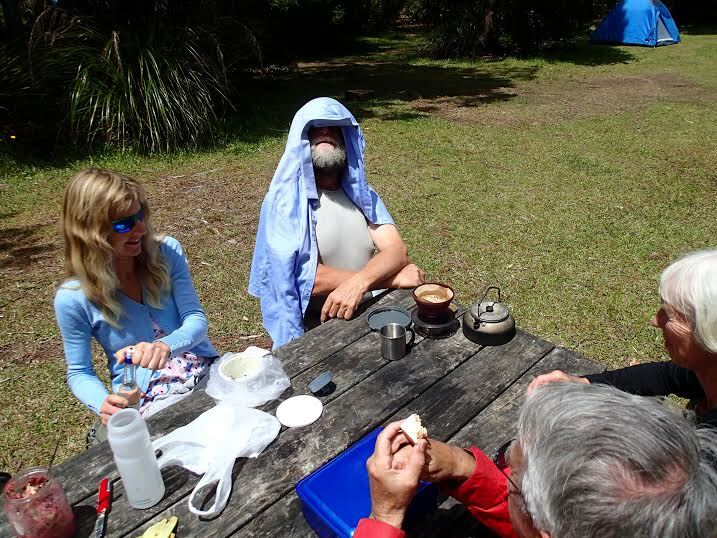 He told me of, amongst other things, a cold water volcano situated on the roadside just at the turnoff to Whangape after having passed through Broadwood. Whangape again. Mike said that geologists from the University of Auckland regularly visit this unique example of tectonic activity. I’d like to investigate this. Many thanks to Bill Guthrie for the photos. 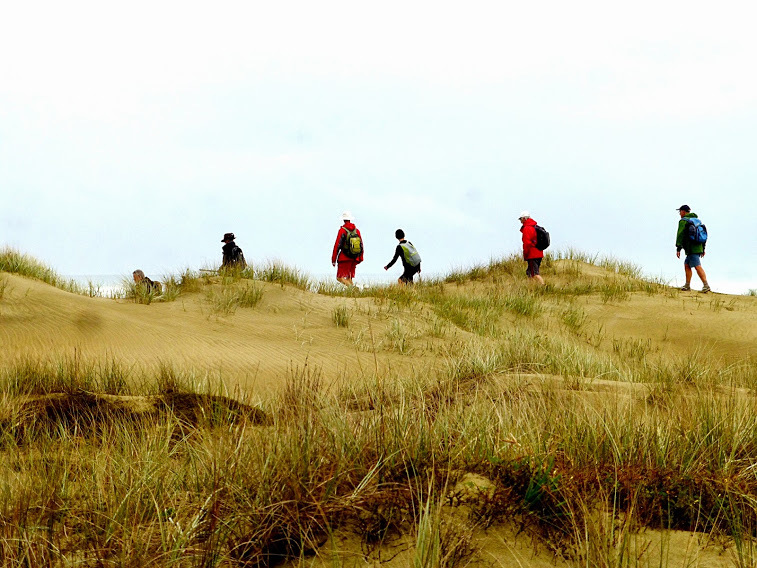 Last Thursday (13 Nov 2014) I had the pleasure of joining Les Feasey, BirdsNZ/OSNZ Regional Representative, at Kowhai Bay for an afternoon observing and counting coastal birds. 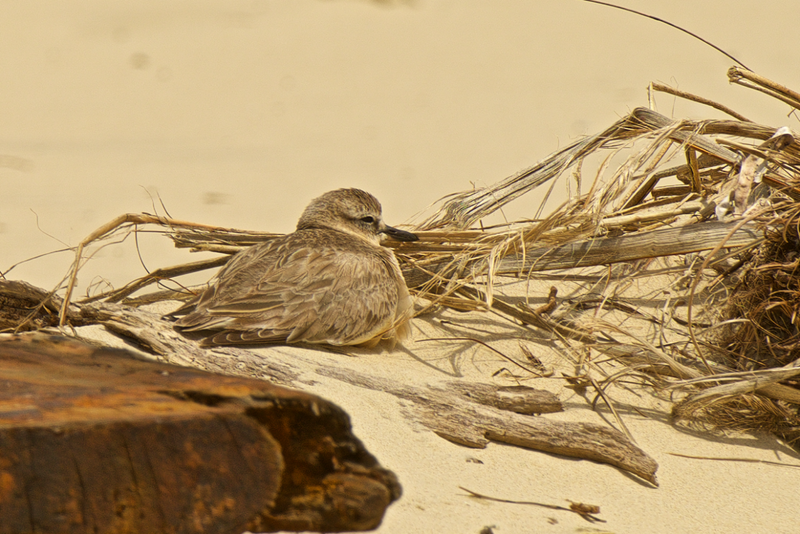 I’ve always loved birds, but this took me into unfamiliar territory—the world of the birder. I spent a few hours juggling pen, notebook, scope and two digital Nikon cameras with large telephoto lenses. Not a wonder the pen fell from my grasp and hid under my seat. It was loads of fun and intensely educational. Les was a gentle guide. Still, it required focus and attention when counting. That’s where the cameras helped. 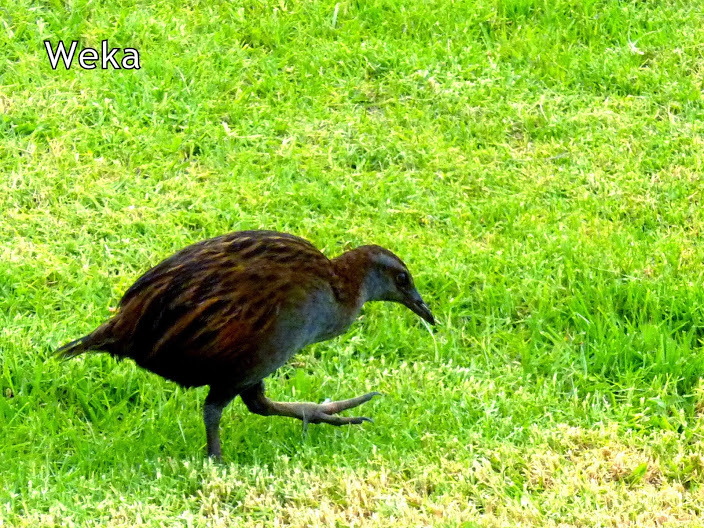 Many of these birds breed in Alaska and migrate to New Zealand when the short Alaskan summer draws to a close. Their epic flight to Aotearoa is difficult to fathom. These birds are not very big. 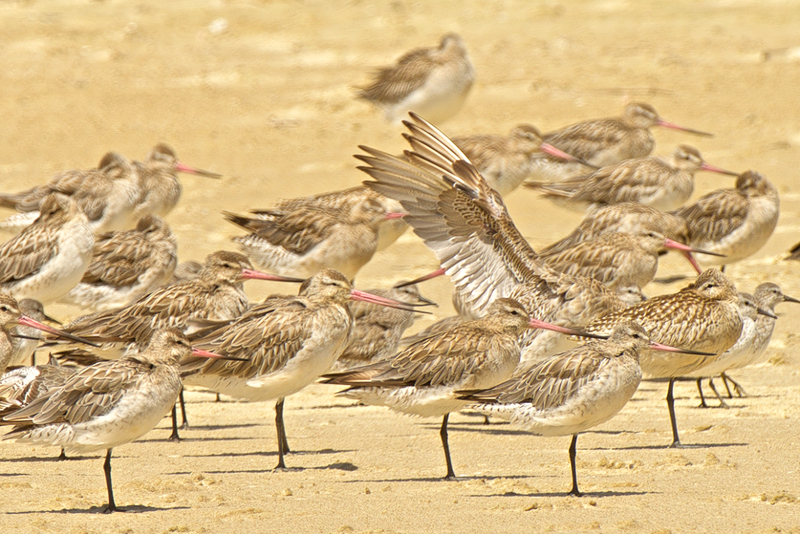 The Bar-tailed Godwits (kuaka) feature in the ceiling at Te Ahu where I work and this was my first opportunity to see them in the wild. 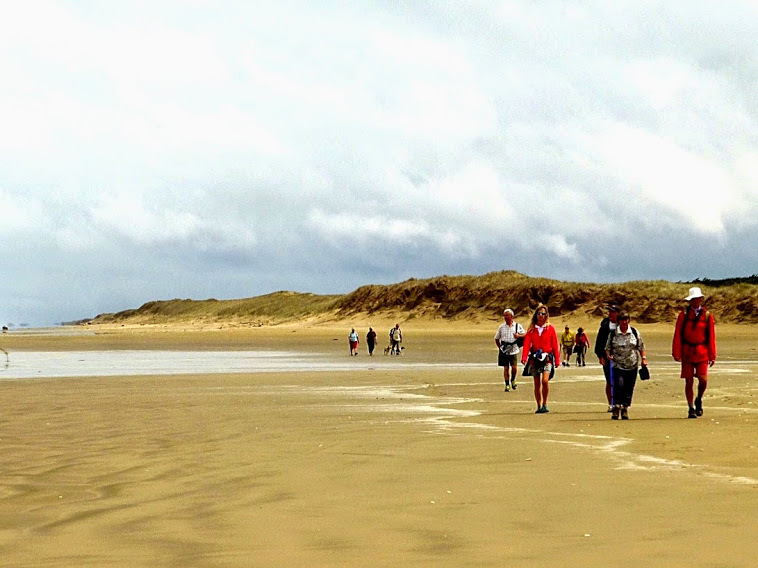 Kowhai Bay (immediately south of Henderson Bay) is one of three remote locations in the Far North where godwits, turnstones and knots can be found. It is obvious these birds only go where man goes not. New Zealand Dotterel (Charadrius obscurus) 11 A few with the godwit flock. A few with the ruddy turnstone flock. 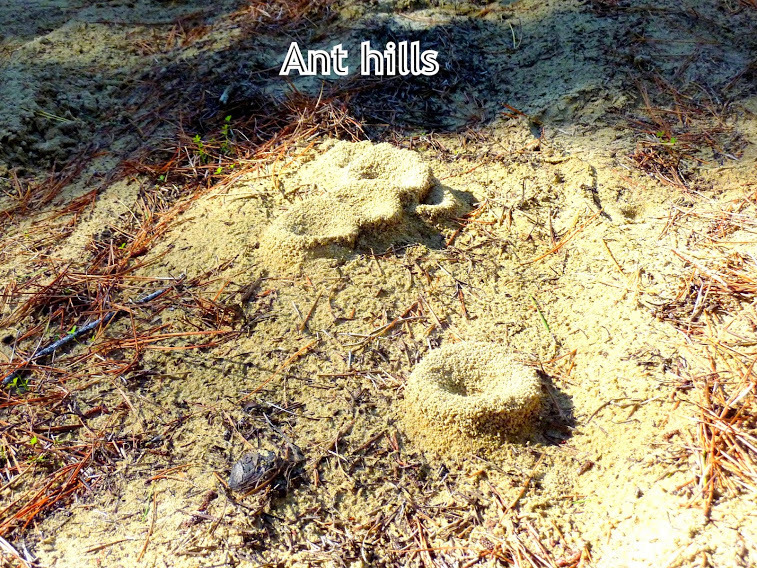 A few juveniles. Previously I’ve written of the importance of having a right relationship with life. This time I’d like to address the importance of establishing a right relationship with death. After all, is not death the last great adventure? Those who die and return, those who’ve had what we call near death experiences, consistently confirm that there is nothing to fear when crossing the boundary called death. 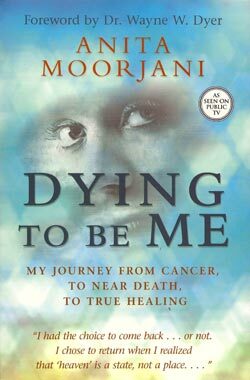 Dying to be me is the true story of the near death experience of cancer survivor Anita Moorjani. All her life she was caught between the expectations of her family, community and culture and the song of her soul. It was only after nearly dying that she realised one need sometimes disappoint another in order to be true to oneself. It was only after returning from the valley of death that she truly learned to love herself and her body. It was only then that she opened to the seemingly miraculous and limitless power of healing available to everyone of us. Within a few months of waking from coma, her eight tennis ball-sized tumours had completely disappeared. Doctors were amazed when scans showed absolutely no evidence of cancer remained in her body. One of the biggest post-coma changes she underwent was to realise she could no longer pursue work only for personal gain. She needed to listen to the guidance of her heart of hearts and do what she truly loved. 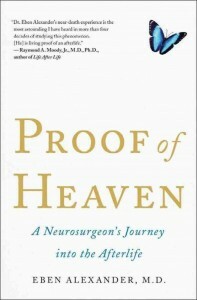 Neurosurgeon and author of Proof of Heaven Dr. Eben Alexander was sceptical when patients reported profound out-of-body experiences and meetings with deceased loved ones during brain surgery. His own meningitis-induced 7-day coma cured him of this myopia. He miraculously returned from the dead with a completely transformed perspective on life after death. He now speaks the words of a mystic: That we are never alone. That the world beyond is indescribably grander, more loving, more colourful and more powerful than the one of everyday life. Both Dr. Alexander and Anita Moorjani confirm that when our actions are guided by the Golden Rule we no longer knowingly do harm to others, be they human, plant or animal. When we let go of fear we understand that in the eyes of God each of us is perfect just as we are. Knowing this we can finally let go, relax and truly enjoy the journey. 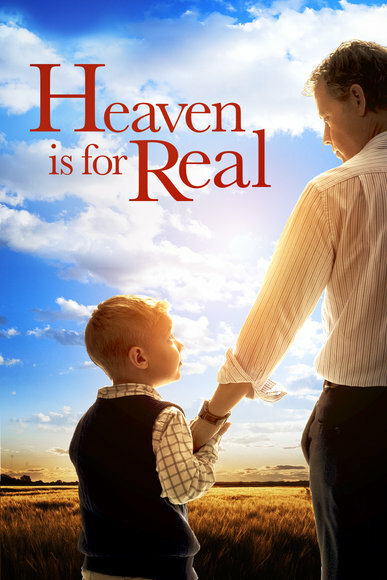 Finally, I recommend reading or watching Heaven is for Real, the true story of a four-year-old boy’s near death experience and how his experience rocked the world of his father, a Christian minister. 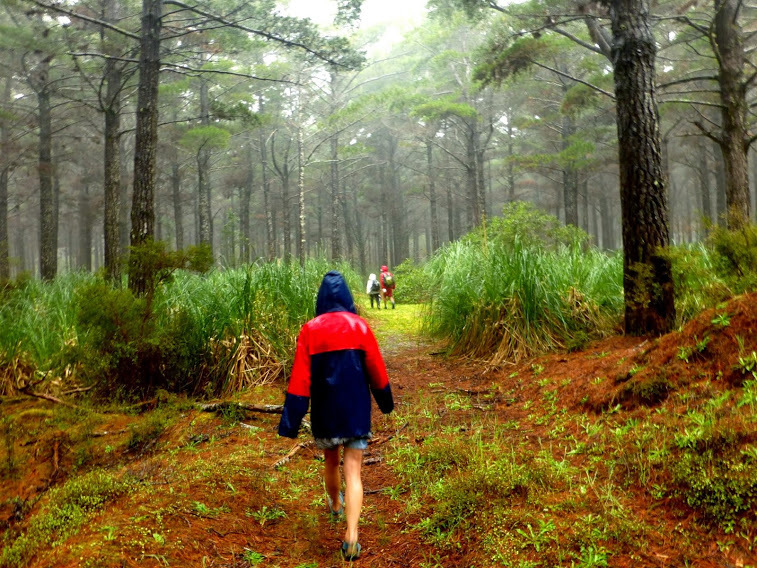 We recently made a walk to the pine plantations of Nga Taki and had one of our wettest walks ever. It was fun though. 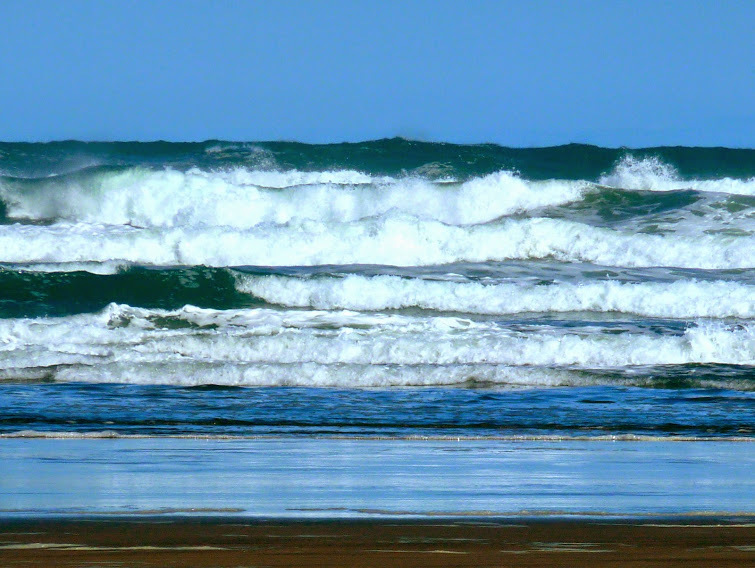 There’s a reason to visit this area aside from the subconscious desire to get soaked to the skin. 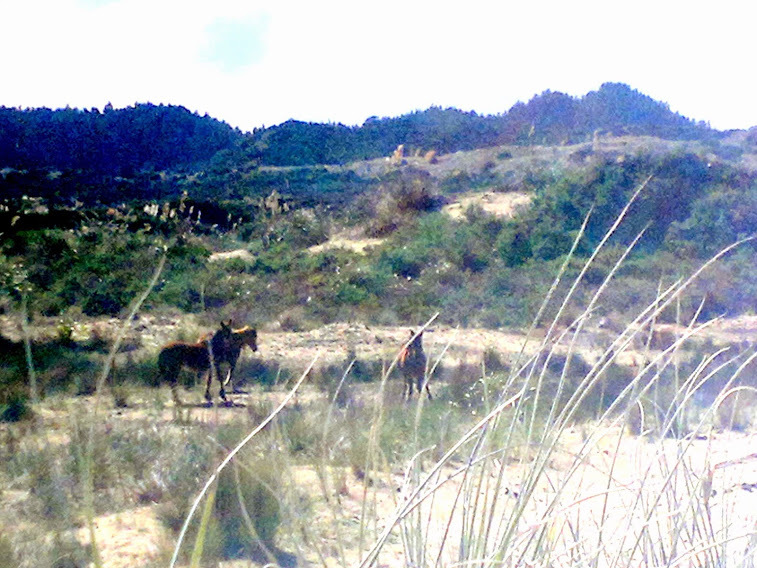 There are familites of wild horses in the area. The photo above was taken on a visit by Tom and Chris to the same place on a fine day recently. 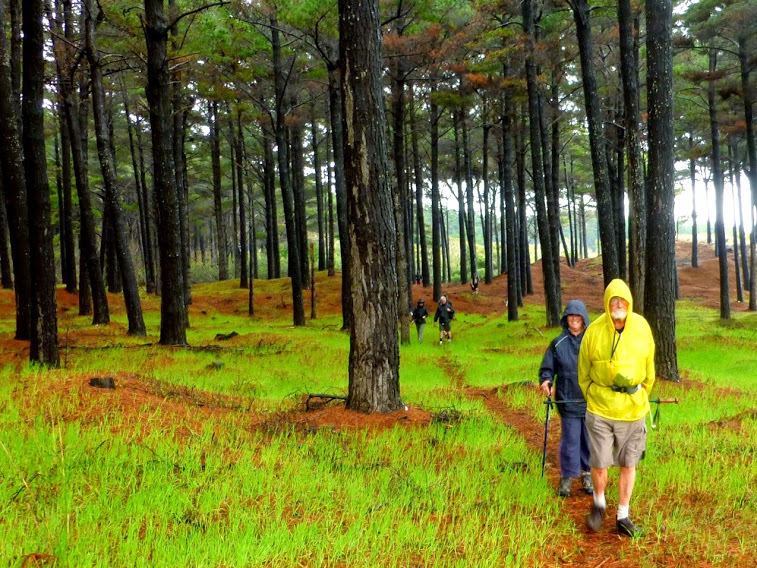 It is actually amazing to contemplate the efforts that have in the course of something like fifty years transformed the extensive runaway sand dunes of the Aupouri Peninsula into the productive farms, avocado orchards and rotational pine forests we see today. 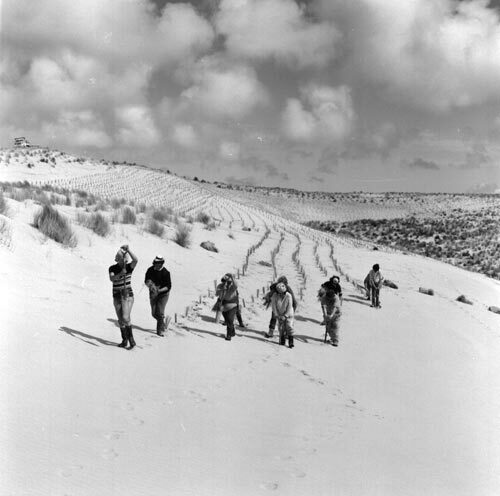 Men and women plant marram grass at Te Kao on the Aupōuri Peninsula in 1973. 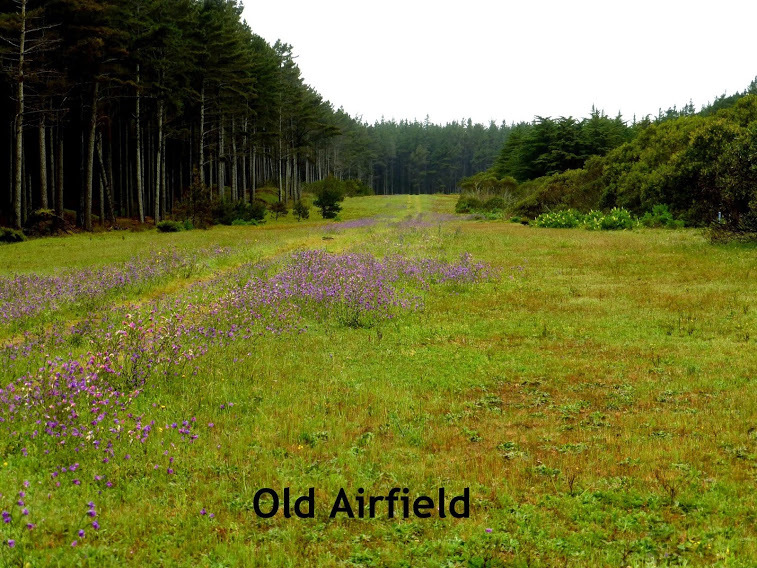 This was an early stage in stabilising these active dunes, which were later planted in radiata pine. 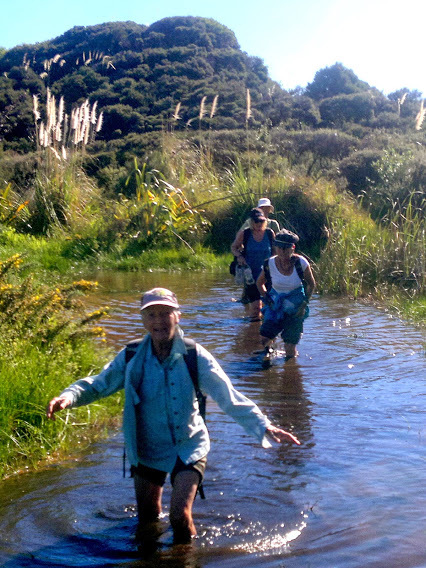 The photos coming first below show a visit to the Nga Taki area on a sunny day earlier this year. It may have been sunny for this autumn walk but we did have to wade through a little water as you’ll see in the next photo. Also a lot of fun! Lucia and John. Can you recognize us? 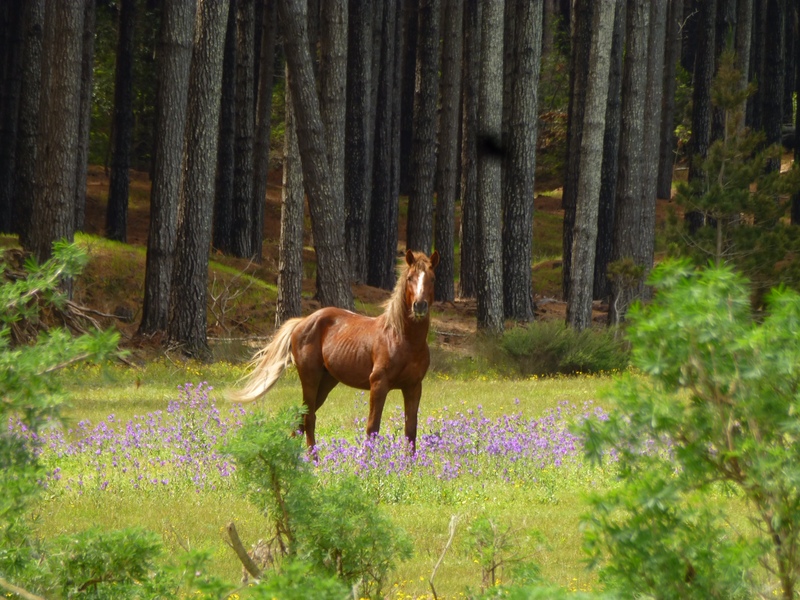 Where Chris and Tom saw the horse. 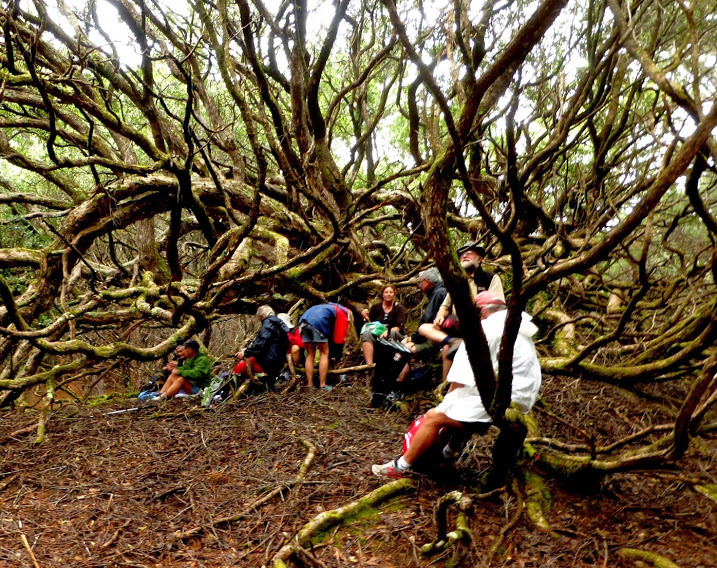 Lunch under a pohutukawa. This is when the rain really began. I’m happy to report that kindness is alive and well and thriving in New Zealand. A few months back on a coldish winter Saturday I came out of work only to find the starter just ticking when turning the key. It would seem there wasn’t enough juice in the battery to turn over the engine. Not belonging to AA I attempted a call to a friendly local mechanic. But being a Saturday he was not by his phone. I had the bonnet up and was checking connections, at the same time knowing the battery was old and tired and probably on its last legs. A series of cold days and nights had in all likelihood contributed to this state of affairs. Then, seemingly out of nowhere, a car rolled up and out poured a bunch of energetic boys and two sturdily built men, all Maori. “What’s the matter, mate?” asked one of the men. They listened to my story and within a few minutes had jumper leads out and had boosted the battery. I thanked them profusely. The men shrugged sheepishly as if what they had done was perfectly normal and all in a day’s work. Which I suppose it was; for them. They then all crammed back in their car and left as quickly as they’d arrived. 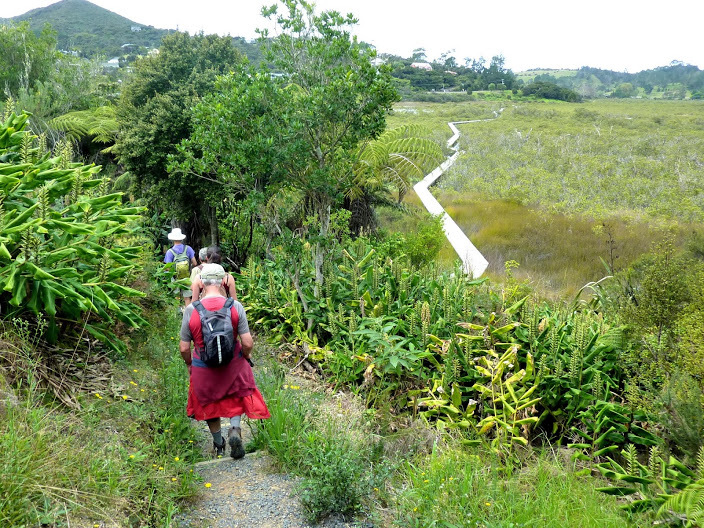 Kindness is alive and well and thriving in Kaitaia. On a recent day off Lucia and I went to the Bay of Islands for a day out. 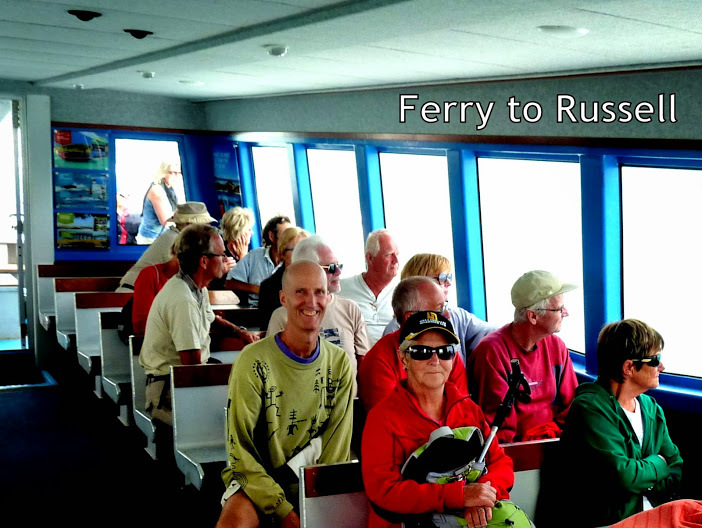 We jumped on a ferry to Russell. It was a magnificent spring day, still and sunny. A bit of an exception to the rain and wind we’d had so much around equinox. We sat by the beach in old Russell for a picnic lunch and were treated to a show by a large pod of dolphins, just offshore. There was plenty of tail slapping by some of the adults while one youngster shot straight out of the water in a joyous breach. A great start to our visit. I wanted to show Lucia the track to Okiato and we thoroughly enjoyed the walk. It was an amazing day, remaining cloudless and still. 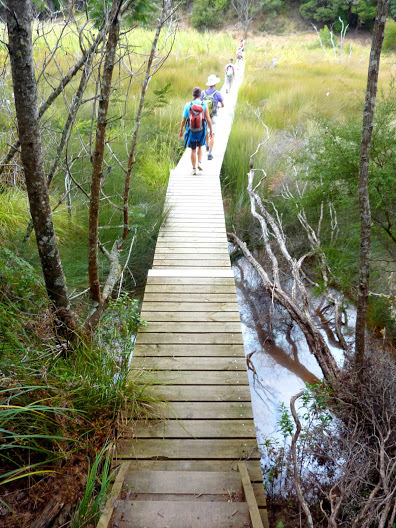 But by the time we’d reached the car ferry to Opua neither of us was keen to walk the rest of the track to Paihia, where we’d left the car. We hadn’t really planned to walk so far and it was already nearly 5pm. So we stood by the roadside in Opua with our thumbs out and within two minutes had a ride. Our benefactor, Trevor, had been enjoying the day on his yacht and was returning to Paihia to pick up his wife from their shop. He thought nothing of helping. It was all in a day’s work. Kindness is alive and well and thriving in Aotearoa. 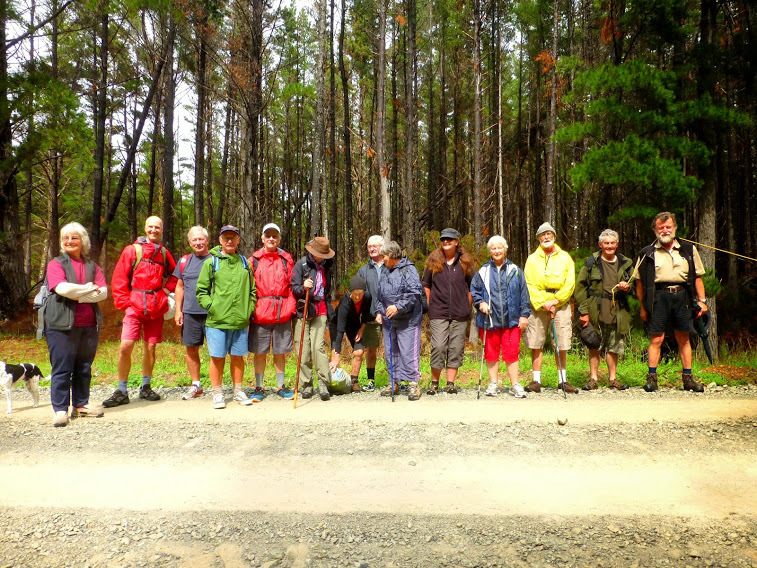 The photos are from our Wednesday walking group’s tramp from Russell to Opua in March, 2014. Big news – the first lawsuit against migrant rights activist Andy Hall was thrown out by a Thai judge last week. This is an important step, but we still have a long way to go as, unfortunately, there are still three more cases remaining, one of which is starting this week, and they include penalties of up to 7 years in prison. The timing is critical – if we keep our pressure up now, we can have the best chance of not only securing Andy’s freedom, but hope for all activists and victims of forced labor in Thailand. Click here to send a message to Natural Fruit call on them to drop all remaining charges against Andy immediately. Andy Hall could face 7 years in prison for doing something you and I do everyday — talking about modern slavery. Instead of focusing on addressing these serious allegations, Natural Fruit decided to try and silence Andy with lawsuits. They have pursued civil and criminal charges and now Andy could face a prison sentence and $10 million in legal damages for his investigations. Are you as outraged as we are? Now is your chance to join the call for justice. Stand with Andy Hall: demand that Natural Fruit drop all charges against him and thoroughly investigate and take action to ensure there is no modern slavery or exploitation in their business. Now is a crucial time in Andy’s prosecution. 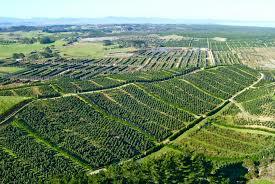 Although Natural Fruit’s behaviour is deeply disturbing it proves that the company cares about its public image. By coming together over the next few days, with activists all around the world that are standing in solidarity with Andy, we can show Natural Fruit’s senior management what we think about these excessive and intimidating charges. Andy Hall is one of us — please join the growing global outcry over his prosecution and fight for the rights of anti-slavery campaigners and their efforts to end worker exploitation. Demand justice for Andy and workers vulnerable to exploitation and modern slavery in Thailand now.